Venezuela’s inability to win the Miss Supranational crown has clouded its status as a resurging beauty superpower. 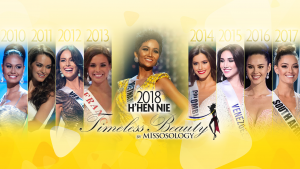 There had been a lot of talk in 2016 that due to political and economic instability, Venezuela might sink further into oblivion in the world of pageantry. The year 2017 provided a modest comeback for the country albeit a mixed bag. 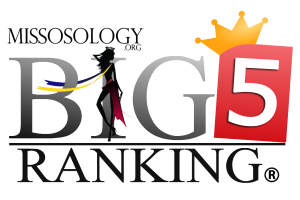 Sure, Venezuela’s power can be felt in some of the 2017 edition of Big5 pageants. But in some, the country struggled just to make it to the semis. This is especialy true in Miss Supranational. Geraldine Duque was sidelined in the Miss Supranational 2017 pageant for the reasons that are too difficult to fathom. Just like what happened last year when Venezuela was denied of the crown by a hair-thin margin, this year’s inclusion was far from being justifiable. To discern the most plausible reason why Geraldine Duque was left out, it is important to focus on the mechanics of the Miss Supranational pageant. This is a pageant that inclines more towards diversity. It has also tapped public voting platforms that focuses on social media and mobile apps. 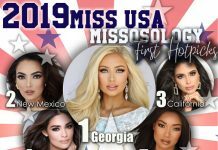 Thus, if the political and economic turmoil has any effect on Venezuela’s stature at Big5 pageants, then its dismal performance at Miss Supranational is the best example. Venezuela is no longer the attractive country in the Latin American region. Colombia appears to have taken its place and the country’s first runner-up placement at Miss Supranational 2017 can back-up this claim. Meanwhile, the Venezuelan public, now in survival mode, has also lost their appetite in supporting their beauty queens in social media and mobile apps. Without a doubt, Geraldine Duque was a wasted candidate. If only she were there at the semis of Miss Supranational 2017, Venezuela could have claimed a resounding come back. Sadly, the political and economic maelstrom that plagues the country has taken its toll.